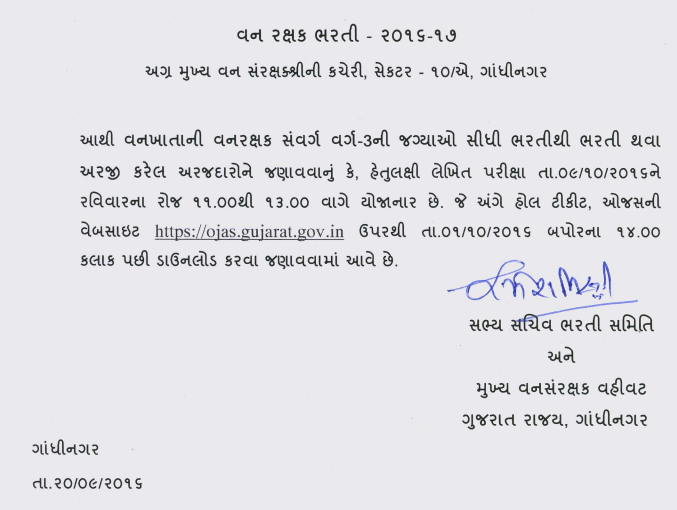 Gujarat Forest Department Has Published Notification For Forest Guard (Van Rakshak) Exam 2016 Of Exam And Hall Tickets. More Details Are as Given Below. 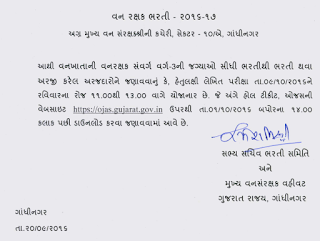 0 Comments "Gujarat Forest Guard Exam 2016 Exam Date And Hall Tickets Notification Out "